The future of education is about the quest for skills, not the quest for paper qualifications. 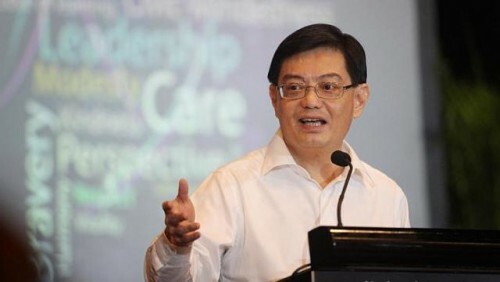 That, said Education Minister Heng Swee Keat yesterday, goes to the heart of a national report to improve the career prospects of Singapore's polytechnic and technical institute's students. After two days of impassioned debate by MPs on the Applied Study in Polytechnics and Institute of Technical Education Review (Aspire) report, Mr Heng set out what he described as "limiting beliefs" that could inhibit people from achieving their full potential. The first is the mistaken belief that qualifications are all that matters. But "the highest qualifications will do a person no good, if there are no good jobs available in the first place", as shown in Taiwan and parts of Europe, he noted. Also, there are a variety of jobs that require people to learn in different ways and all their lives. "Some jobs require degrees; some jobs don't." Indeed, people need a whole package of attributes to succeed at the workplace. At the other extreme is the second equally limiting belief that qualifications no longer matter. "Qualifications matter but they must be the right qualifications and of the right standard for what we want to do," he pointed out. "Aspire is not about dissuading Singaporeans from upgrading ourselves, or pursuing degrees or pursuing any form of qualifications." The third limiting belief is that if polytechnic and ITE students learn better, the value of degrees would go down. The opposite is true because everyone gains when a team does well, he said. The report, which received broad support from the MPs, including those of the Workers' Party, recommended multiple pathways to give everyone, regardless of qualifications, opportunities to succeed in a chosen career. Senior Minister of State for Education Indranee Rajah called it a "game changer" in her wrap-up speech. It sets a new course "because once again, the winds of change are upon us. We must tack to the new wind. If we do not make the change, it will be forced upon us and not on our terms". MPs, she added, were correct to highlight the challenges. MPs such as Mr Zainal Sapari (Pasir Ris-Punggol GRC), Mr Ang Wei Neng (Jurong GRC) and Mr Lim Biow Chuan (Mountbatten) said the Government will first need to address the thinking that a degree is the ticket to a good life. There is also the "caste system", as labour MP Heng Chee How (Whampoa) termed it, in human resource which places scholars above graduates, and graduates above diploma holders. While stressing that employers must play their part, several MPs also highlighted the hurdles, including training cost, that firms, especially SMEs, will face. Mr Heng Swee Keat also identified three action areas to achieve the desired outcomes. These are: integrate theoretical and applied learning; learn at every stage of your career and in every way; and respect everyone. Summing up what Aspire aims to achieve, he put it thus: "It is not just about qualifications, not just about jobs, not just about economic growth… All of this is to create the conditions for Singaporeans to pursue lives of meaning, achievement and joy. Every one of us, regardless of our starting points."